Ambitious construction workers have a busy schedule! There are foundations to dig, walls to build and holes to drill. And of course the entire site must be taped off for safety purposes. 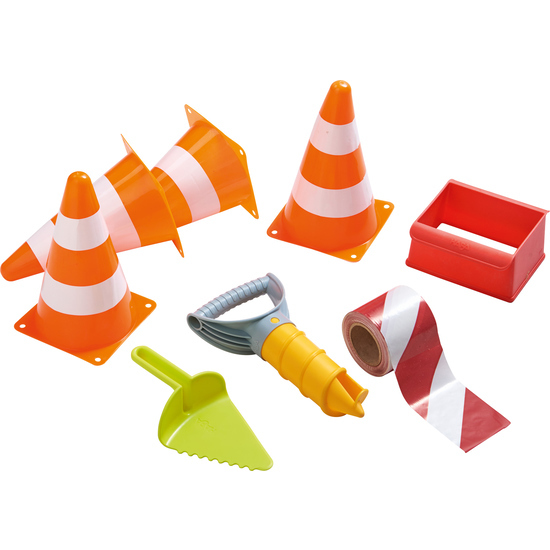 Everything children need for their sand construction site can be found in this comprehensive set. Contents: 1 sand drill, 1 brick mold, 1 trowel, 4 pylons, barrier tape.